Ella: How's your blog going? Dr. John Watson: Hmm, fine. Good. Very good. Dr. John Watson: Not a word. Sherlock can infer anything passing the surface.I love this talent.Sherlock helped many people solve their problem.He is a kind man.He caught the real criminal and protect justice.The stories are complex and contemporary, with references to a remembered past. But it's easy to forget the past--the present Sherlock, droll yet naive, is so wonderfully weird.The dialogue is wonderfully written. It is fast- paced. 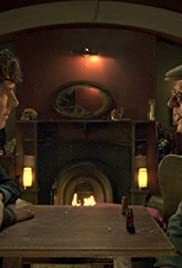 There's some witty commentary here and there.Sherlock with his friend help many people and i think they are very interesting.My favourite episode of the series,The episode is rife with action, witty dialogue, political cover-ups and a story where everything comes full- circle.